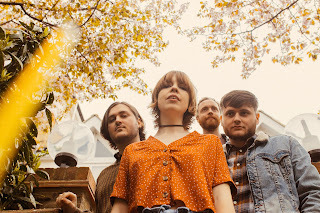 Background promo - Winters End have released their new single Thoughts, the follow-up single to their critically acclaimed 2015 single Mayfair. 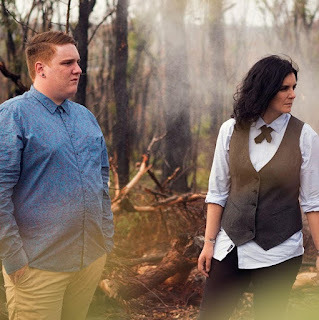 Comprised of siblings Marissa and Christopher Pinto, Winters End are a Sydney-based indie, electronic duo. 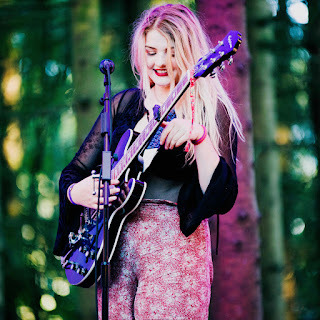 Formed in October 2011, they have toured twice internationally for the Indie Week Music Festival in Canada and the Youbloom Music Festival in Los Angeles in 2014. Winters End's follow-up release to their critically acclaimed 2015 single Mayfair, comes in the form of Thoughts. 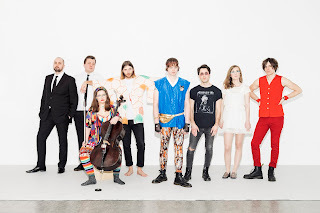 Thoughts was recorded in Sydney at A Sharp studios and Studios 301 with esteemed record producer Lachlan Mitchell (The Jezabels, The Whitlams, The Vines). If you combined the wistful synth sounds of Stevie Nicks, Peter Gabriel and Kate Bush and added an Adele-like narrative, complete with heart wrenching and honest lyrics, the result would be Thoughts. Thoughts is a beautiful piano-based track which starts sparsely and progresses with layers of synths and strings, expressive drumming, and a soaring lead vocal. This progression results in the creation of the 'big' sound that Winters End have become known for. It was last August that we had the pleasure of featuring Winters End for the first time, back then we described the track Mayfair as "a powerful and stirring song". 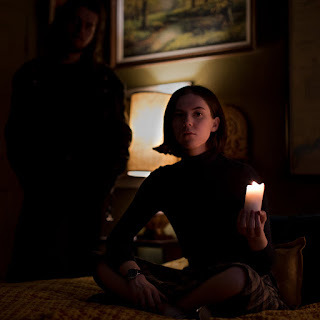 New single 'Thoughts' continues to see the duo develop and produce high quality indie pop, the latest offering is both melodic and powerful, if anything surpassing their previous work. Background promo - Following debut single 'I Feel' in December 2015, and receiving praise from everyone from The Line Of Best Fit to Noisey and radio spins from Zane Lowe (Next Hype), Phil Taggart, Annie Mac and Huw Stephens at Radio 1, Bad Sounds return with the release of new single ‘Avalanche', out 29th April via Killing Moon Records. Co-produced by Duncan Mills (Peace/Spector), the Bath based 5-piece take their upbeat-pop sound to new levels; fusing cheerful pop hooks, fuzzy guitar lines and an undeniably addictive chorus, bringing sounds of the 70's and 80's into the 90's Brit-Pop era, with a twist. 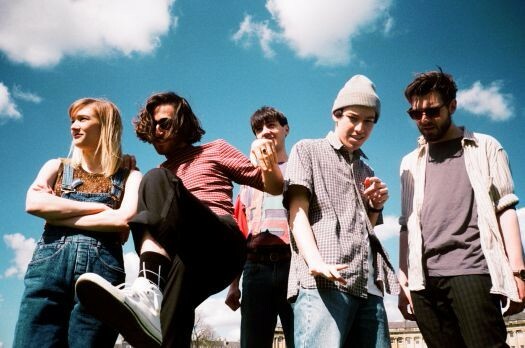 Bad Sounds play a run of UK festivals in support of the single including appearances at Field Day, Dot To Dot and The Great Escape. 2 September - Festival No. 6, Portmeirion. This is one of those instantly addictive songs. In fact the above promo has pretty much used up all the immediately apparent descriptions of what is such an uplifting song. If you have not got the energy to dance to it, then just enjoy the enormous smile it puts on your face. 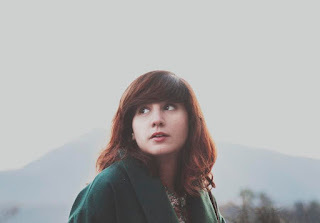 Joana Serrat - Cloudy Heart ft. Neil Halstead. Background - Joana Serrat on Cloudy Heart - "Cloudy Heart was built together by David Giménez and myself. The song talks about the very moment when a couple feels like strangers, after coming out of a long journey through darkness together. I like the light that chorus spreads around and the strength that suddenly appears in this part. I feel that it's a generous and genuine song. 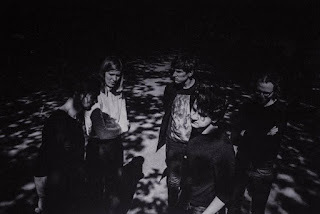 While we were writing it, we knew Neil Halstead (Slowdive / Mojave 3) should sing in this song. We met whilst playing in the same festival in Barcelona few years ago. Neil listened to the demo version and said yes immediately. He then went on to play electric guitars on two other tracks on the album - Lonely Heart Reverb and Lover." It's not surprising that Joana has already received considerable attention both in the mainstream music press and on radio. This is such a gorgeous song, simple as that really, a gorgeous song.